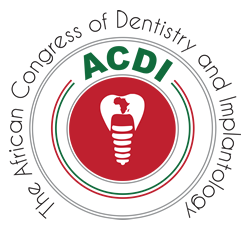 The African Society of Dentistry and Implantology (ASDI) is a scientific organization whose objectives are the promotion and development of dentistry all over the African continent. The main objective of the ASDI is to create different platforms destined for the professionals of dentistry to communicate their clinical and research work. 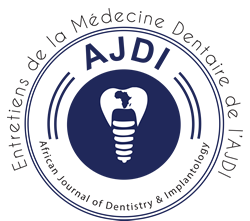 The first realization of the ASDI is the African Journal of Dentistry and Implantology (AJDI) which is the first magazine of dentistry with distribution and broadcast in Africa. It is a platform designed for dentistry professionals in order for them to be able to communicate their work as well as clinical research. The AJDI is a biannual, bilingual (French and English) magazine, which is in compliance with international standards by the quality of the content. The first eight issues were published in 4,500 copies and were distributed for free to more than 3,500 Moroccan dentists and also to all African dental medical schools members of the Conference of Deans of Dental School of Africa. 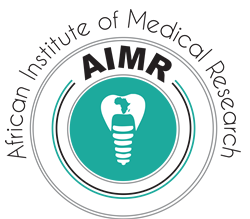 The AJDI is the media and scientific support of the dental schools of Africa, the African Congress of Dentistry and Implantology and the African Dental Expo. Recently the AJDI has been indexed by the African Index Medicus and the Scientific and Technical Moroccan Institute. It is also currently in the process of indexation within Medline (PubMed). The ASDI and the dental schools of Rabat and of Casablanca were behind the creation of the Conference of Deans of Dental Schools of Africa (CDDSA) by organizing the 1st CDDSA during the month of January 2014 in Marrakech, Morocco. 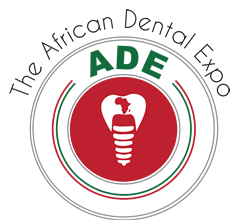 The African Society of Dentistry and Implantology has organized in partnership with the Conference of Deans of Dental Schools of Africa (CDDSA) the first edition of the African Congress of Dentistry and Implantology (ACDI 2016) and the African Dental Exposition (ADE 2016) from the 26th to the 30th of January 2016 at Marrakech.